An Epic Off-Road Adventure Right In the Center of Europe? 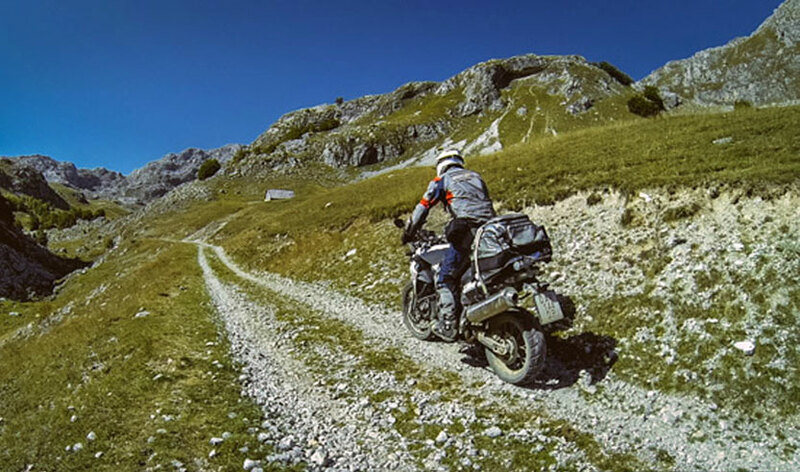   ADV Rides  An Epic Off-Road Adventure Right In the Center of Europe? 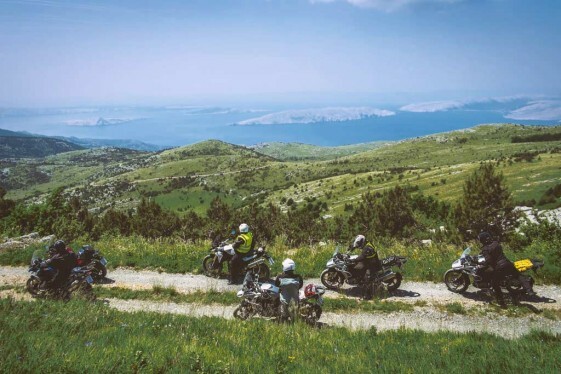  Discover the unspoiled natural beauty of the Balkans with MotoTrip Tours. 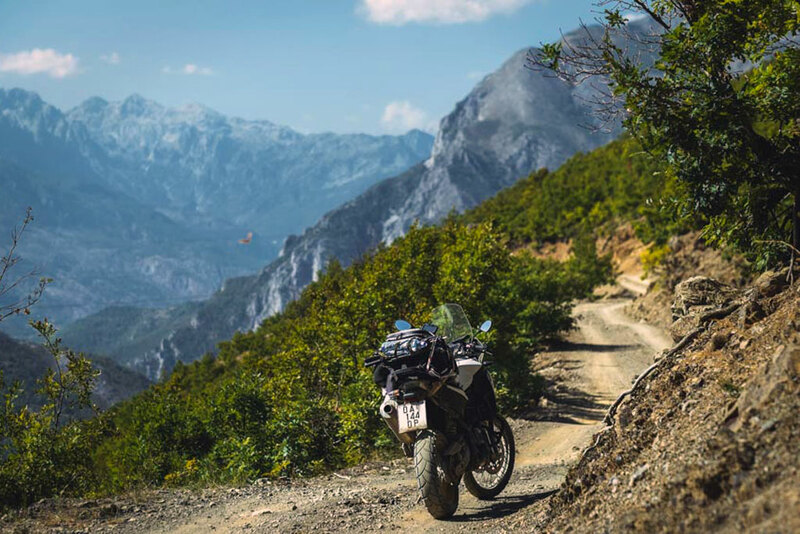 Think about riding Adventure Motorcycles in Europe and you’ll no doubt imagine riding somewhere between Germany, France and Italy on a twisty asphalt road through the Alps. 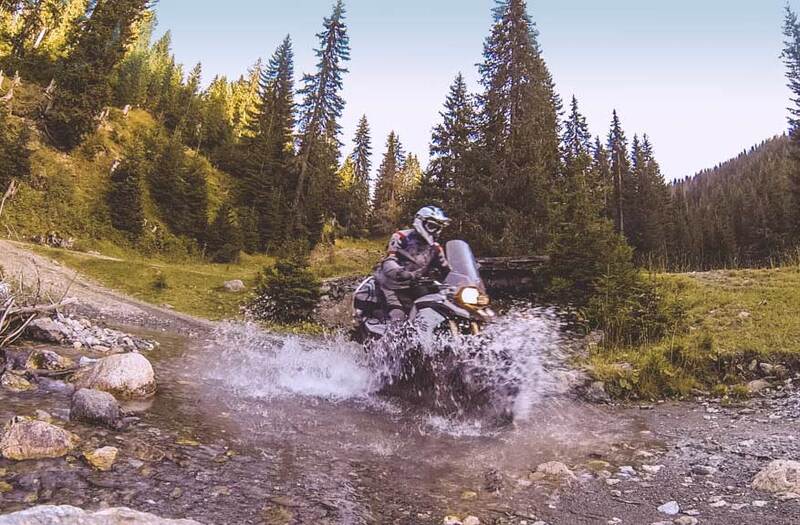 Europe is famous for its “road” adventures but most opportunities in the EU for off-road riding are limited to small off-road parks and short gravel stretches. Many think Europe is just not the place for an extended off-road adventure… or is it? If you expand your mental sweep of Europe, zoom out just one more click, you’ll realize you’re missing what the Western Balkans of Southeastern Europe have to offer. The short answer is less traffic, less-restrictive off-road riding, unspoiled natural beauty and a rawness that lends itself perfectly to the adventure you seek. 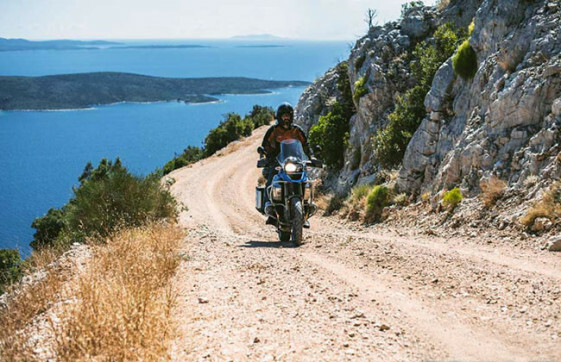 In Croatia, a mix of coastal mountains and small islands offer incredible backroad riding with sweeping views of the Adriatic Sea. Off-road tracks lead away from the tourist zones, taking you deep into the mountains, where stunning National Parks and charming villages can be experienced. Croatia is famous for its scenic dirt roads with sweeping views of the Adriatic Sea. Crossing into neighboring Montenegro and Albania, you explore an entirely different culture that seems frozen in time. Whole neighborhoods come out to greet you and offer a warm welcome, excited to share their rich heritage and cuisine. Much of the riding here is around 6,500 feet elevation (2,000 meters) and the terrain is just as varied as the people. Miles of untamed roads make it a thrilling ride, while striking mountain vistas have you stopping ever few miles for a photo. A tour company can make planning a trip to the Western Balkans a lot easier. It’s a great way to get introduced to a new region and ensure you ride some of the best routes. MotoTrip is one company we’ve discovered that offers two different on-road/off-road Adventure Bike tours through the region. They call them their “Off the Radar” tours and they are designed to take you far away from the tourist crowds to remote scenic areas reachable only on dirt tracks. They are official partners of BMW Motorrad and as locals, they know all the best off-road routes through the region. MotoTrip’s “Off the Radar” European motorcycle tours are designed to take you far off the beaten path to the remote regions most tourists never get a chance to see. 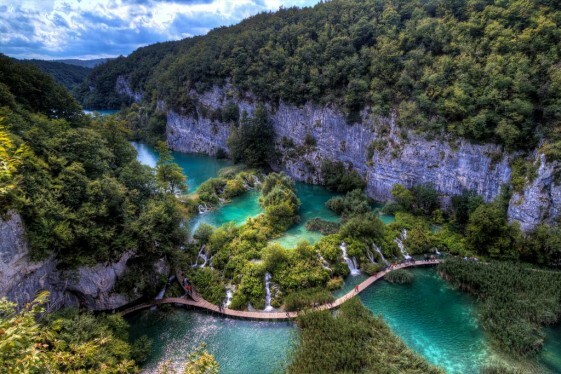 Packed with backwoods exploration, pristine lakes, and hidden beaches, the 10-day Secrets of Magical Croatia tour travels 850 miles (1,400 km) between Zagreb and Dubrovnik with roughly 50% of the time spent on gravel and dirt roads. The off-road sections are gentle enough for less-experienced dirt riders and you can even bring along a pillion. The tour visits Plitvice Lakes and North Velebit national parks, takes you island hopping on the Adriatic Sea and rides around Mount Dinara – Croatia’s highest peak. There’s also an opportunity for some off-the-bike adventures, like speedboat rides, paragliding, rafting and scuba-diving. MotoTrip’s other 10-day Off the Radar tour is for more advanced off-road riders. It’s called “Albania vs. Montenegro” because they want you, the rider, to choose which country you like the most. Hint: They already know the answer is both. Less-experienced off-road riders should consider doing the “Secrets of Magical Croatia” tour first as a warm up. But if there are any concerns about your abilities, a BMW Certified tour guide will be there to help you through the tough spots. Along the way you’ll ride through no less than six national parks (Teth, Valbona, Prokletije, Durmitor, Boigradska Gora and Lovcen), while experiencing the freedom of unrestricted off-road access. And at the end of a hard day, you can enjoy sipping wine or a cold beer as you relax in front of a fireplace waiting for a fine meal to be prepared. MotoTrip European motorcycle tours give you the option of riding a BMW F700GS, F800GS or R1200GS and accommodations range from luxury to rustic (depending on the location). Prices are lower in the Balkans compared to the rest of Europe and Americans are now benefiting from improving exchange rates. Round-trip flights from major US airports to Croatia can be found in the $1,000 range and tour prices start at just under $6,000 dollars. Tour price includes 3- to 5-star accommodations, bike rental, airport transfer, breakfasts and dinners, fuel, ferry and park fees, off-the-bike excursions, a tour book as well as a professional photography package at the end. With the globalization of Eastern Europe, things are changing rapidly. Before long, this hidden treasure will start to see more restricted areas and heavy tourism. If you want to experience the unique charms of the Western Balkans, now is the time, before it becomes heavily regulated like most of Europe. Check out the MotoTrip website for more information on all the European Motorcycle Tours they offer. Bon Voyage or ‘Sretan Put’ as they say in Croatian! Hi Tazoid. One thing we do is try to bring more awareness to interesting riding areas and unique tours around the world. Unfortunately, we don’t have routes for this area. We’ll have more stories focusing on routes coming up soon. Stay tuned! wow I have never even considered this area before for off roading. What a gem! Plitvice Lakes looks amazing. Thanks for the info! Sounds like a lot of fun. I’m in! WOW!! So many places to ride, so little time! Europe? Most wilderness and thousands of kilometers of public unpaved roads you will find in scandinavia! Oh yes! Sacandinavia is brilliant and well worth a visit too! Hi Kai. Just moved to Malmö Sweden. Any suggested tracks in the region?